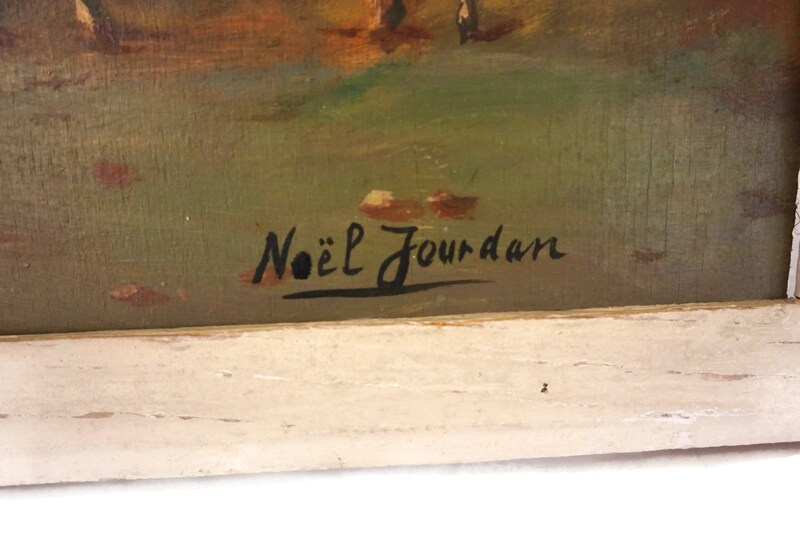 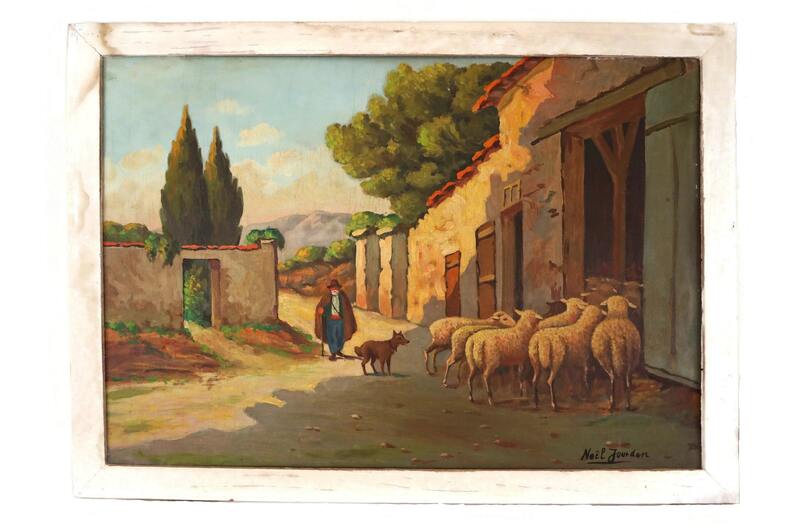 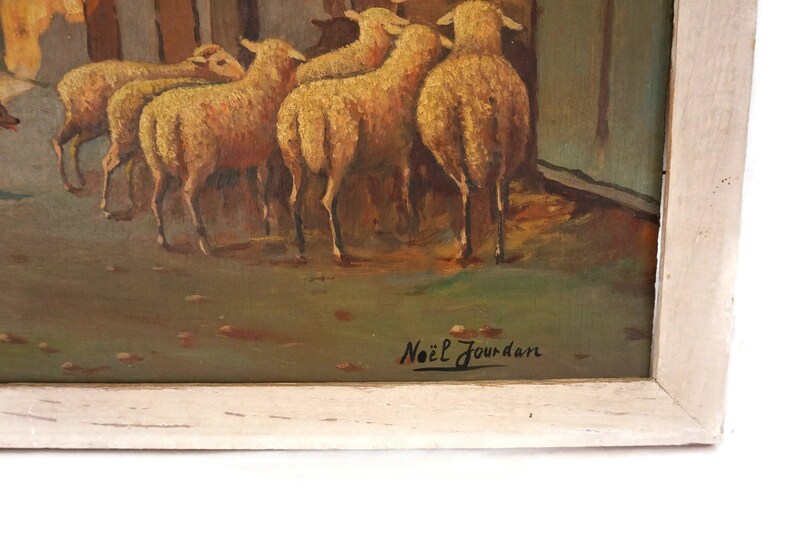 A charming vintage French shepherd and sheep painting by the artist Noël Jourdan. 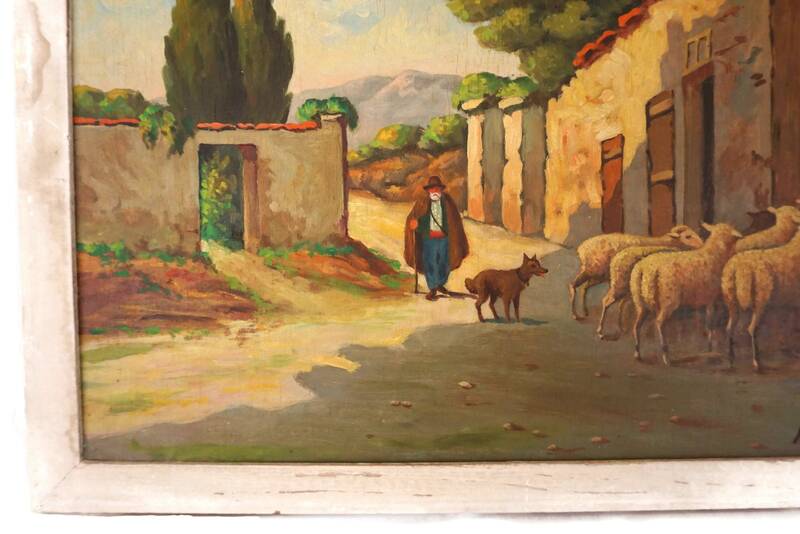 The large original art painting has been painted in oils on wooden panel. 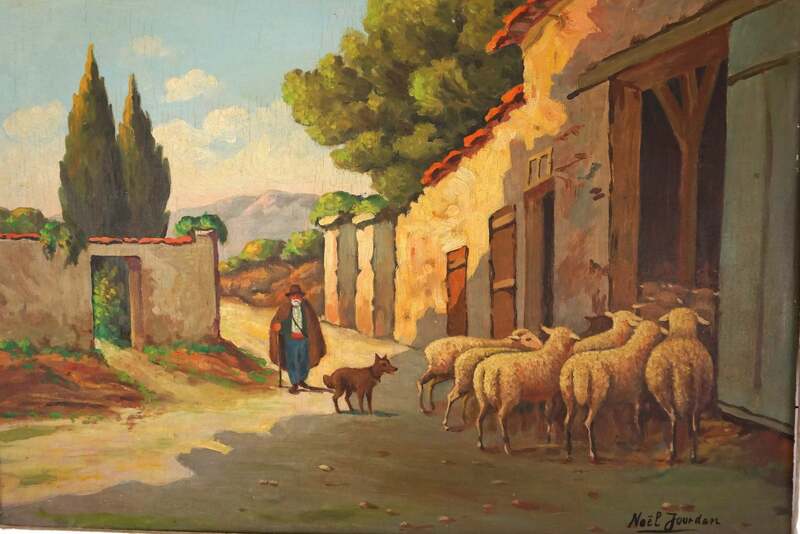 It portrays a country landscape in Provence and features the figure of an old shepherd with his dog returning to his farm with his flock of sheep. 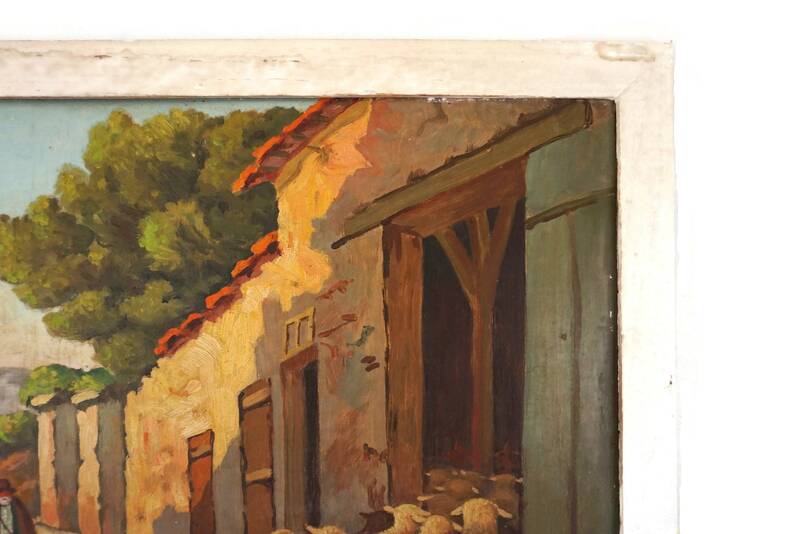 The painting has been mounted on a simple wooden frame painted in white. 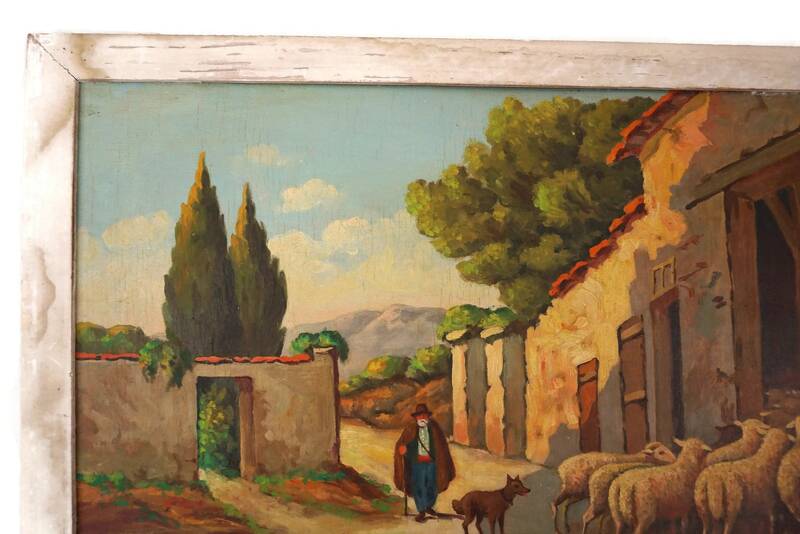 The work has been painted on board in a rich palette of autumnal shades and has been signed by the artist on the bottom right corner. 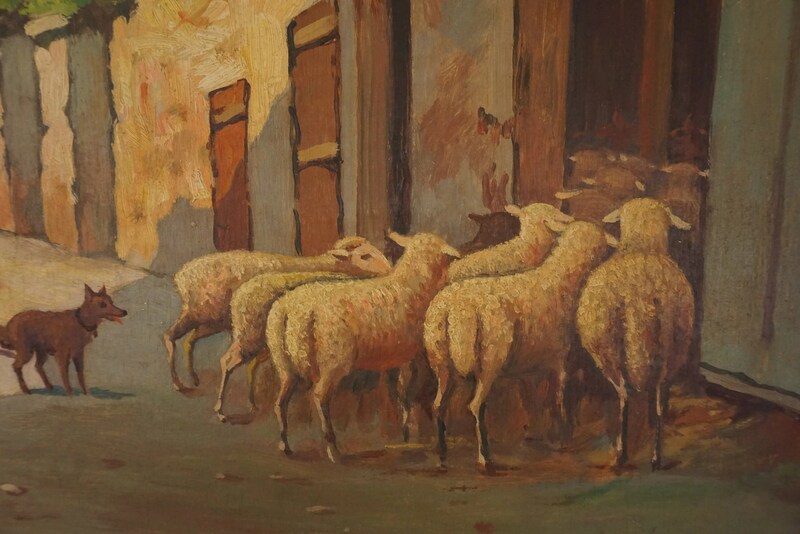 (59,5 cm x 42,5 cm). 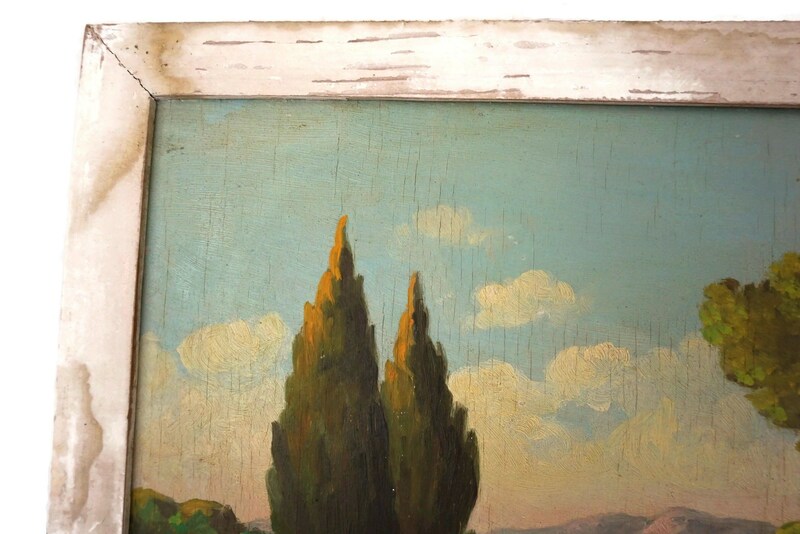 The rustic Provence painting is in very good vintage condition with some signs of age and wear including light crackling to the painted surface and marks in places. 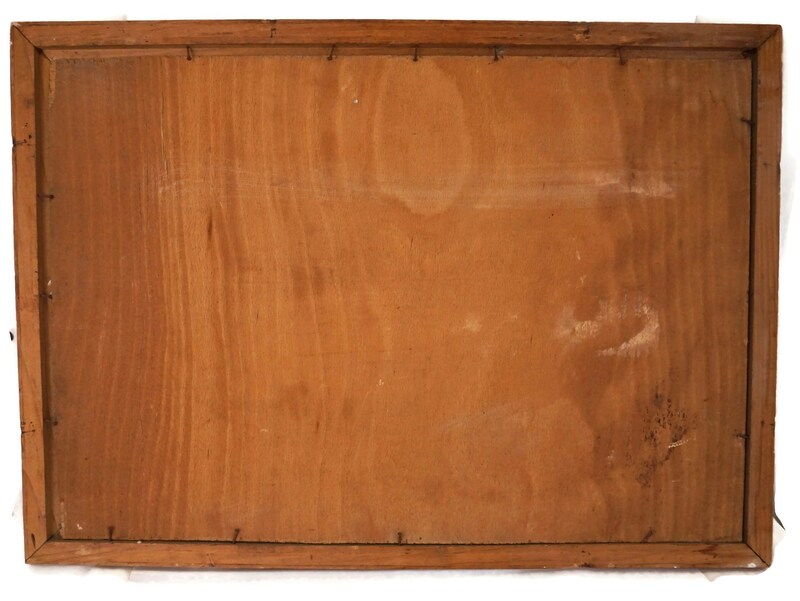 The frame has wear including flakes and marks to the surface.